15.11. The course blog has been opened at http://computationalphoto.mlog.taik.fi/. All up-to-date information and materials for the students will be there from now on. 4.11. The selection of students to the course has taken place, and the students who signed up have been informed about this (unfortunately we could not take everyone as we have the limit of 20 students). 26.10. The course is full, so it’s not possible to sign up in Oodi anymore. However, we do have a few seats for TKK students (preferably with some study background in media technology). If you’re a student from TKK and interested in the course please contact either Markku Nousiainen (markku dot nousiainen at aalto dot fi) or Mikko Kuhna (mikko dot kuhna at tkk dot fi) directly with email. The course can be accepted as part of TKK studies with course code T-75.5700 (Visuaalisen median projektityöt L). 12.10. Enrollment to the course has opened (sooner than we expected) and continues until 2nd November. The course can be found in Oodi with course code 25041. 8.10.2010 Enrollment to the course starts in one week as soon as we get the course data to Oodi. There will be a link to the Oodi page when this is ready. A course organised by Aalto Media Factory, in collaboration with AAD Department of Media, AST Department of Media Technology and Pixelache Festival. 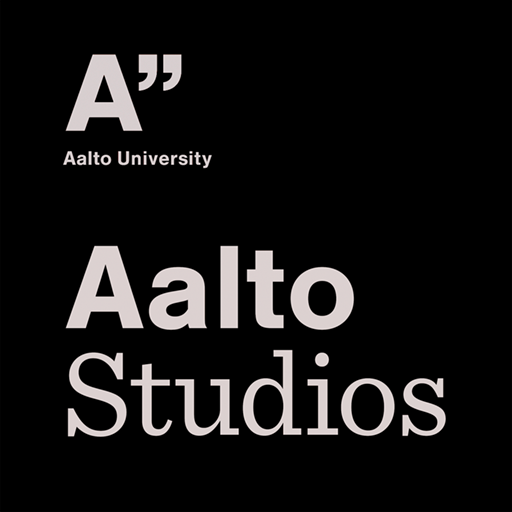 This is a project-based course for students from different Aalto schools. Students work in pairs or individually to complete their own artistic projects. The results will be presented in the Pixelache Helsinki festival in March, 2011. Prerequisites: Some previous study background in visual or digital media is expected from the students. However, there are no formal prerequisites, and no previous experience in the programming tools is expected. Students with different backgrounds are encouraged to team up in pairs. The digital camera has become increasingly a tool for programming, instead of merely recording images. Already now, some cameras run open-source software that lets their functions be controlled by computer code. Cameras are also equipped with sensors that retrieve location and position data thus giving tools to expand the visual realm to location-aware, multisensory and embodied expression. As an artistic field ‘computational photography’ refers to a variety of approaches where programming is used in connection with digital cameras and sometimes social media to produce images. The camera and picture-taking are perceived as concepts that can be modified in do-it-yourself spirit and are therefore open to discussion, redefinition, and hacking. The work of an artist takes place in close connection to the digital medium and algorithms that are usually not as well-controlled as conventional photographer’s tools, leaving plenty of room for playful and unexpected results. The students learn to read visual data from a camera or some other image source, manipulate it with computer code, and use it for their own artistic purposes. They develop their own approaches and concepts related to computational photography, and implement the concepts into final artworks within the extent of the course. Project work takes place mainly in pairs of two students with different backgrounds. This is to cover the various skills needed on this course (visual and concept design skills, programming skills). However, it is also possible to do the project work individually. The course consists basically of two intensive periods and time in between that is dedicated to project work. The first period (starting 9.11.2010) covers an introduction to the field and the tools to be used. The second one (starting 15.2.2011) focuses on completing the projects. There will be tutoring available for project work throughout the course, and some guest lectures to be announced later. The deadline of projects is 4.3.2011. A small exhibition of the results will be featured as part of the Pixelache festival in Helsinki, 10-13 March, 2011. The projects may use either computers or mobile phones (Nokia N900) as their platform. This is the basic choice that depends on the nature of each concept. The supported programming environment for computers is Processing and for the Nokia N900 mobile phone either Python (with Python Imaging Library), or the FCam-API which is the first platform of a new type of camera systems referred to as open cameras. Credits: 3-8 ects. The lectures and concept presentation account for 3 ects and the whole course including the project work accounts for 6-8 ects depending on the size of the project. Grading: 1-5. Grading is based on the quality of artistic and communicative expression, and the originality and implementation of the project, including the both final results and presentations. Location: Aalto University School of Art and Design, Media Lab (Hämeentie 135C, Helsinki), 3rd Floor. Some extra dates will be announced later for guest lectures and project tutoring. Enrollment: With Weboodi. Enrollment starts on 18.10. and ends on 2.11.2010. See details on the course website: www.mediafactory.aalto.fi/computationalphoto. UPDATE: The course blog can be found at http://computationalphoto.mlog.taik.fi/.